The opportunities I have to spend time in my kitchen, home all alone are some of my most precious and creative moments. (I LOVE being in my kitchen, which is unfortunately why the rest of my house suffers. I’m a work in progress with house cleaning routines). I can cook whatever I want, and I’m not afraid to experiment. I usually just pick a vegetable and a pan to start with and go from there with what I have on hand. Today, it was sweet potatoes and my cast iron skillet. 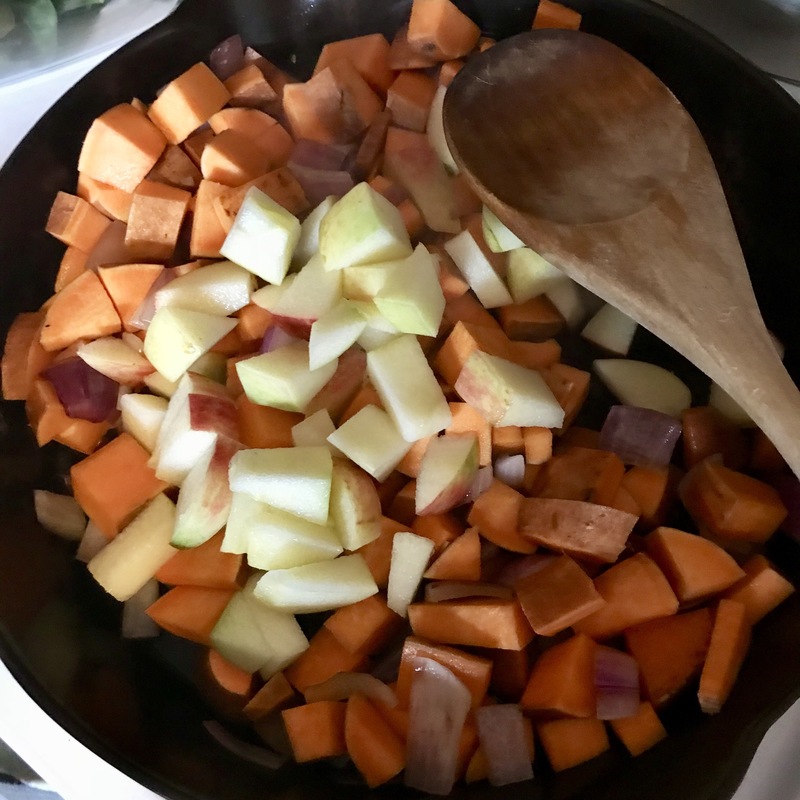 I just kept adding…red onion, yellow pepper, celery, and a honey crisp apple, (because it’s fall in Michigan). Coconut oil, a little turmeric, curry powder, and some heat turned this into the most delicious “hash”. 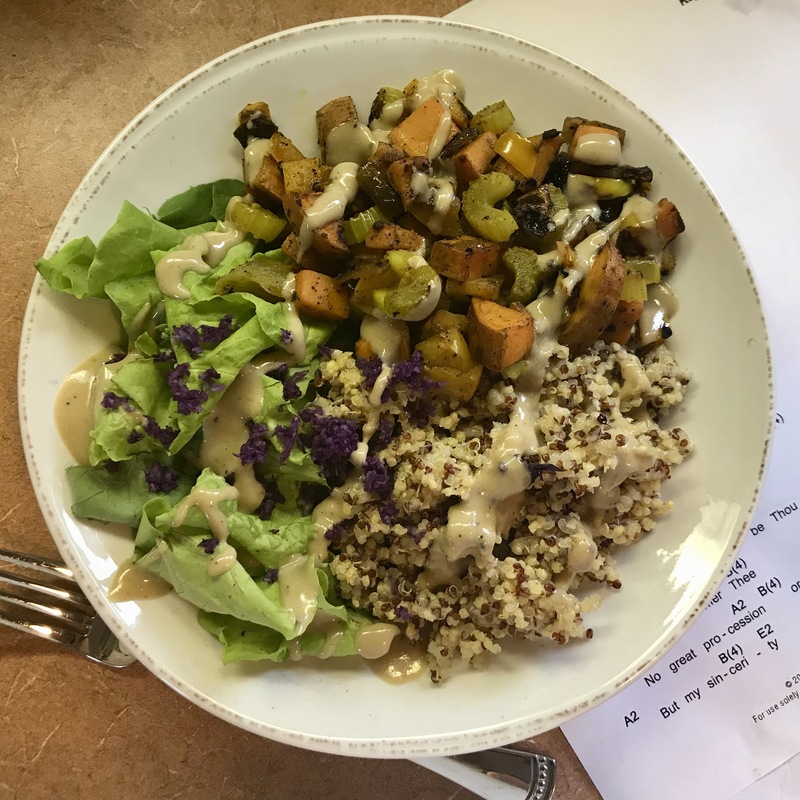 Feeling inspired, like this had a lot of potential …I cooked up a pot of quinoa, found some beautiful greens from a dear friend’s garden, made a delicious Maple Tahini Dressing from She Likes Food, and combined it all into one of my favorite bowls and shredded a bit of red cabbage on the top. I surprised myself with how absolutely delicious this is! (I looove it when that happens!) 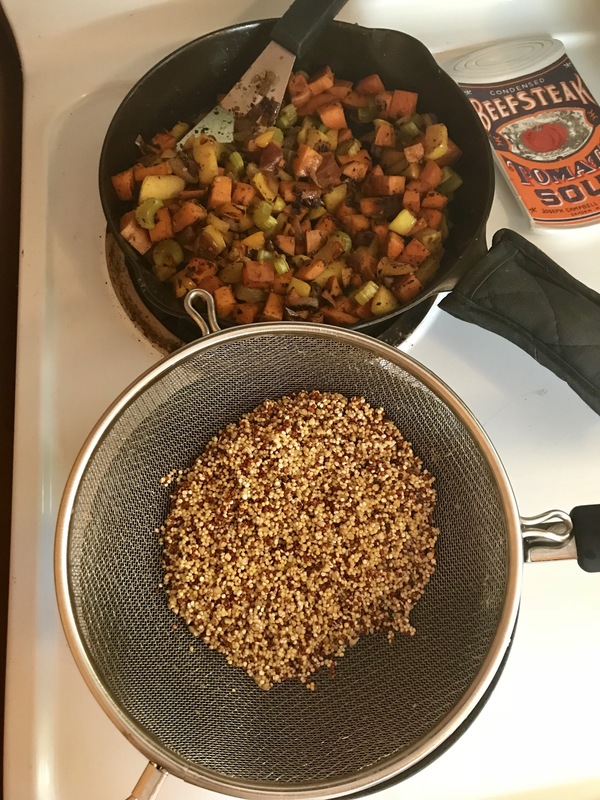 It tastes like Fall with the flavors of apple and maple, and is a meal you feel really nourished after eating. The balance of flavors and nutrition are really beautiful. And the best part is, I have leftovers of each component!! 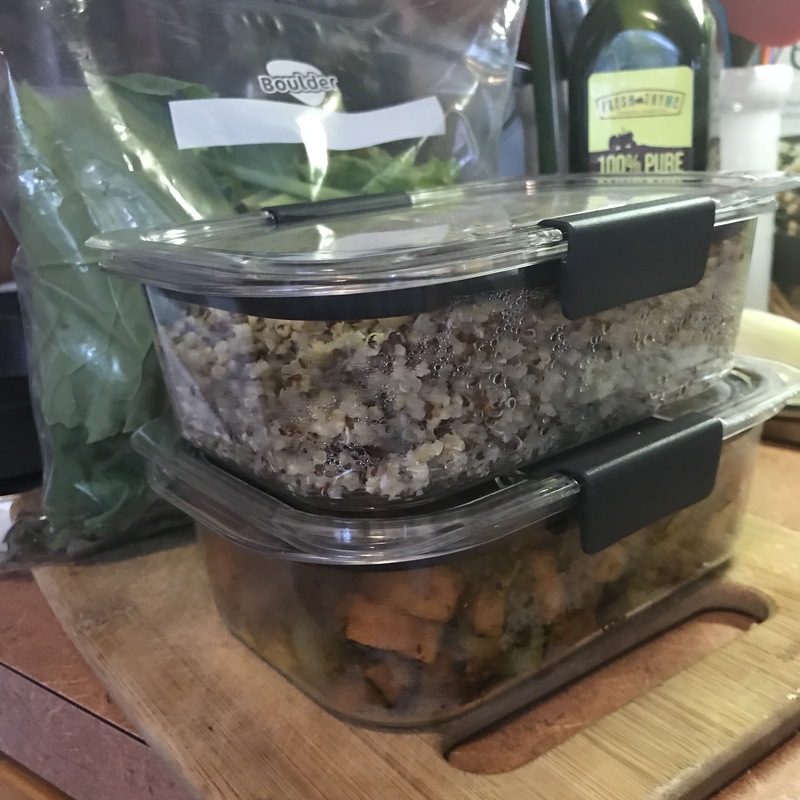 Super simple meal prep! …if only I could teach the dog to clean up and do the dishes! !